Gartner defines hybrid cloud storage as a broad category of solutions that are being used to modernize today’s infrastructure. 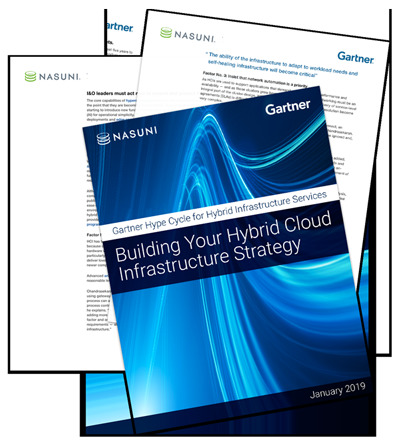 In this newsletter, featuring access to the Gartner Hype Cycle for Hybrid Infrastructure Services, we take a deeper look at two key uses of hybrid cloud storage: cloud backup and DR, and multi-site synchronization. Hybrid cloud infrastructure is becoming a critical component in the modern IT stack. Traditional storage and backup technologies are no longer a viable solution in today's global environment. Get your copy of this newsletter and Gartner research and learn how to future proof your storage infrastructure! Get Your Copy of the Hype Cycle Report Below!